When Jorge Mario Bergoglio, a little-known Argentine Cardinal, was elected as the Pope of the Catholic Church in 2013, he, as is customary for all Popes, chose Francis as his papal name, after St Francis of Assisi, the 13th century friar who, apart from being a professor of poverty, was a lover of nature and animals. So it didn’t come as a surprise when last month Pope Francis issued an impassioned maiden encyclical—a formal document elucidating the Pope’s views—on the environment. In the epistle titled “Laudato Si” (Praise be to you—On Care for Our Common Home), he contemplates expansively on environmental crises such as species extinction and chemical pollution, but is most eloquent on the subject of climate change. He believes the solution to our ecological malaise lies in what he calls the social approach, which “must integrate questions of justice in debates on the environment, so as to hear both the cry of the earth and the cry of the poor”. The Pope’s moral exhortation to save our “global commons” ahead of the Paris Climate Summit later this year has boosted the morale of climate change campaigners. At the same time, it has angered a lot of climate sceptics many of whom belong to the catholic flock. Its political implications aside, Pope Francis’ letter is arguably the most scientific document ever to come out of the Vatican. 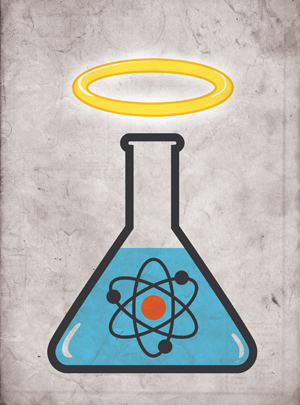 So are the Catholic Church and science incompatible? Most people would think so, for stories about science martyrs such as Galileo who was persecuted for teaching that the earth goes around the sun are deeply entrenched in the popular imagination. However, the truth is far more complex and nuanced. As historian of science, Ron Numbers, writes in Galileo Goes to Jail and Other Myths about Science and Religion: “Despite a developing consensus among scholars that science and Christianity have not been at war, the notion of conflict has refused to die.” If anything, the Catholic Church has been a leading sponsor of science. Many illustrious scientists, such as Vesalius, Copernicus, Kepler, Lavoisier, Descartes, Lamarck, Mendel, Chardin, and Georges Lemaitre were either members of the clergy or practicing catholics. Evolutionary biologist Stephen Jay Gould tried to resolve the science-religion contradiction through the concept of Non Overlapping Magisteria, where a magisterium is defined as “a domain where one form of teaching holds the appropriate tools for meaningful discourse and resolution”. He claimed that “science and religion occupy two separate realms of human experience. Demanding that they be combined detracts from the glory of each”. However, British geneticist and atheist Richard Dawkins believes it is wishful thinking to expect religion to “restrict itself to morals and values”. He believes all religions trespass on science’s turf by staking claims on material reality such as in miracles and prayers. Dawkins might be right. Nonetheless, Pope Francis may have just succeeded in creating a kind of middle ground, albeit a slippery one, between the two realms. As he writes: “The Church does not presume to settle scientific questions or to replace politics. But I am concerned to encourage an honest and open debate so that particular interests or ideologies will not prejudice the common good.” Amen!